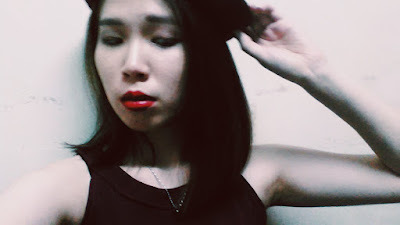 Today, I'm going to share with you a topic which I haven't done before, and I really hope it's gonna be a fun reading for you. Alright, let's bring it on!! As the title suggests, today I'm going to share with you the products which I finished using in the month of November & December 2016. I am going to divide them into two parts: skincare products and makeup products. While running through the products, I will also briefly states my comments after using them, whether these products worked for me, or not. As most of them I got long back then, which I couldn't remember the exact price I purchased for, so I will just put down the current price for your reference. They called it "cleansing lotion", but in fact it's just cleansing water to me. They don't have thick and oily texture like lotions do, which still a mystery to me why they named it "cleansing lotion". Anyway. At first, I bought it because I wanted to try on something new. 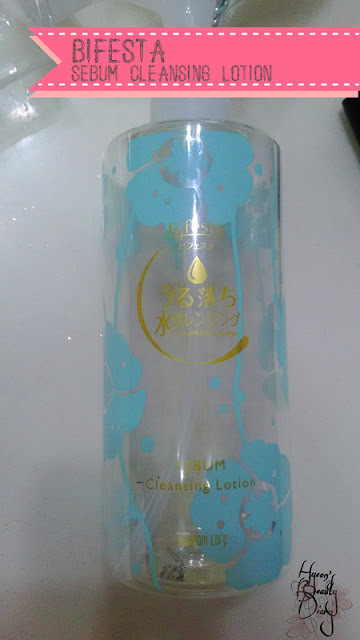 Previously, I really enjoyed using Kao's Bioré Makeup Remover Perfect Cleansing Water. And I have this high hope on Japanese products, which I thought that Bifesta would be just as rewarding as well. Well, it turned out not that case. Its makeup removing power was just so-so, which I often saw traces of makeup residues while toning my face. Besides, there is this unpleasant chemical smell which I dislike. Neither do I like the feeling while swiping the cleansing water on my face. I just don't like it overall. Of course, I didn't want to waste it, so I just quickly finished off the product, and off the bin it goes. This product is available at Watsons stores Malaysia-wide. Price is RM29.80. 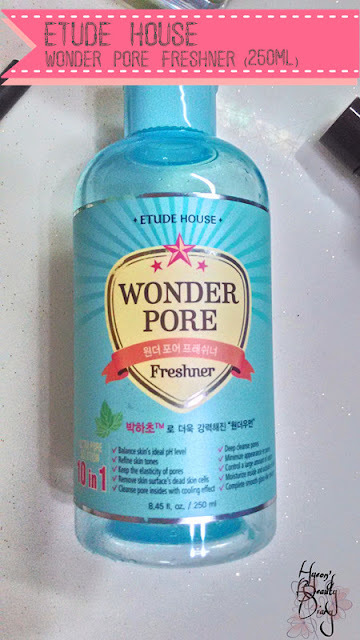 If you ask me, "what you would buy from Etude House?" This Wonder Pore Freshner will definitely on that wishlist. Boy oh boy, I must say, I was really impressed by this product. 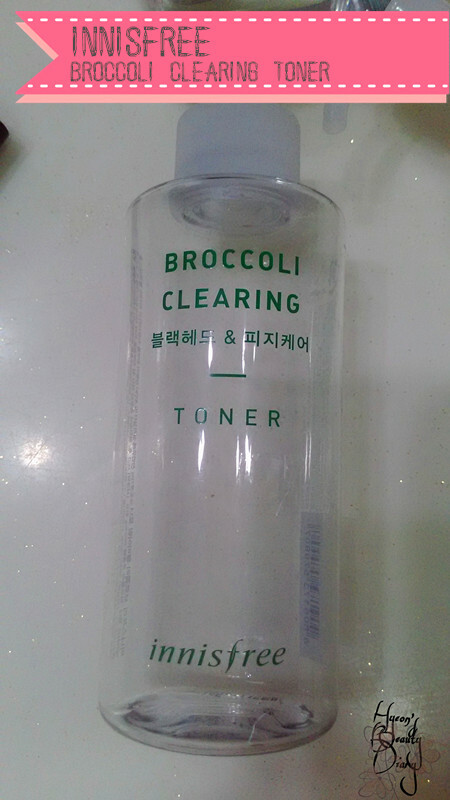 First thing first, I like the refreshing effect as toner. 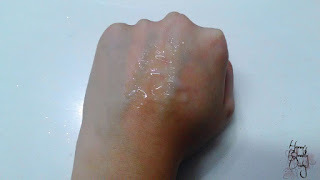 The texture is water-like, very light on the skin, that's why it is refreshing on the skin. Most of all, I can see the pore-tightening effect. Usually what I will do is, I soaks the cotton pads with the product and lay them on the targeted area (with large pores). Especially after getting rid of blackheads around the nose. 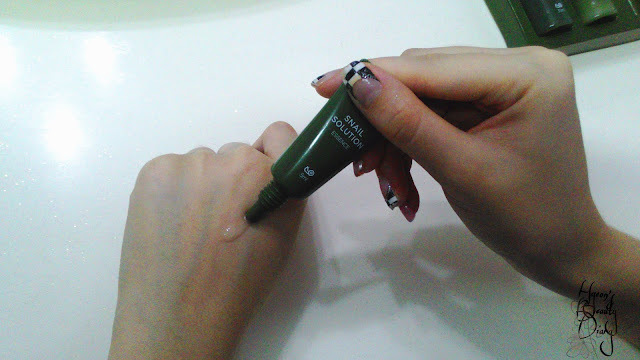 Do this every time when you have breakouts or when you remove blackheads, you can see the result. Pores are tighten, skin around is soothen, less blackheads to be found. Thumb of rule, do it consistently. This product is available on Althea for RM35 and Hermo for RM36.25. I love to eat broccoli...but broccoli for skincare? Wow, this is new to me. In a split of second, I might thought this is a product from Skinfood (heh). But yeah, Innisfree too is about natural, clean and green ingredients. As far as Innisfree claims broccoli is great for sebum control, sadly to say, I didn't see big difference after finishing this small bottle. Yeap, 150ml packaging is kinda small if compared with similar products from other brands. 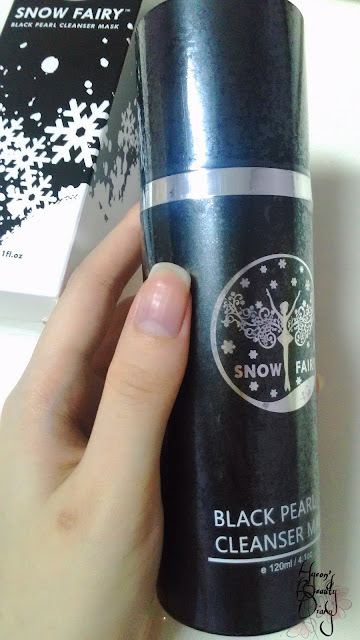 It has this vegetable smell (?) Or, is that broccoli (?) The smell of nature (lols) which is unique. Only it has. Be assured, it is a pleasant smell, oh yes, don't worry. Fairly to say, it was a good, mild and soothing toner. Generally, I think it will make a good basic skincare item that suits all skin types. On top of that, I like its product design: transparent, cute and handy. To me, simplicity is class. This product is available on Althea for RM23. 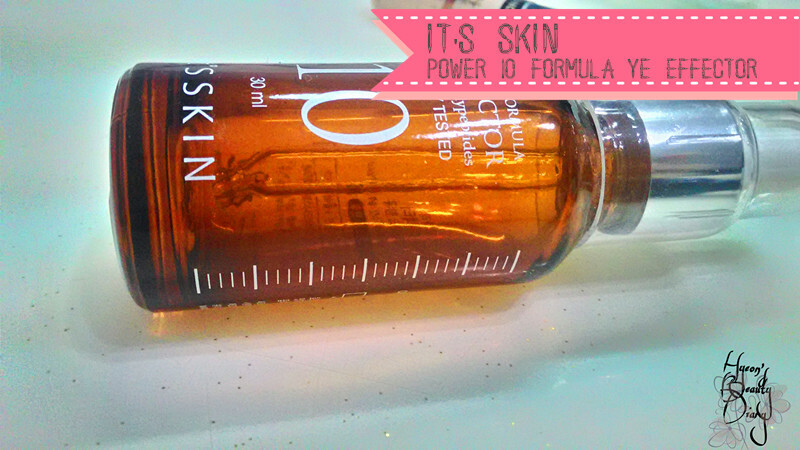 This is the first bottle I bought from the Power 10 Formula line. That time I was looking for serum type booster to add-up into my skincare routine. Then I saw this Power 10 Formula line, and I was really amazed that it would so affordable, which got me into thinking of how effective it is. For instance, YE Effector is better known for skin-reviving, boosting cellular growth and hasting the cellular turnover process to improve skin texture and restore clarity. It claims to have anti-aging elements as well. Well, so you will ask me, do you see skin texture improved? I will say, yes, but I just not too sure whether it is because of the YE Effector, or a combination of skincare products which I uses on a daily routine. Do you see less breakouts? Not really, I still have breakouts occasionally, as usual. What I like the most is that, thou the formula is slightly thick and slippery, it is rapidly absorbed by the skin and formed a thin layer of moisturizing protection. Frankly, it wasn't a great product, but good enough. Not to mention, it is affordable and value for money. This product is available on Hermo for RM26.50. 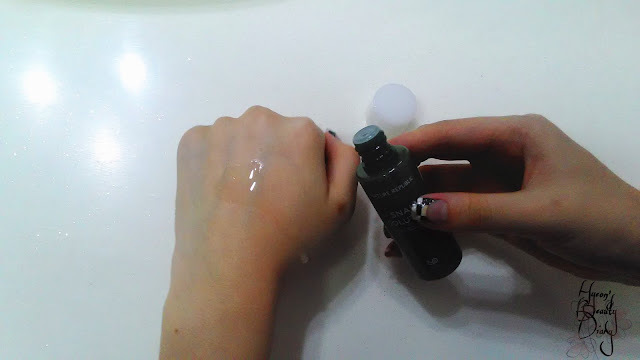 You might have read my previous Weekly Product Review on Skinfood's Black Sugar Wash-Off Mask where I mentioned this product before. If not, you can find the link here. This is by far the most rewarding finding I've got in 2016. A bit of introduction. 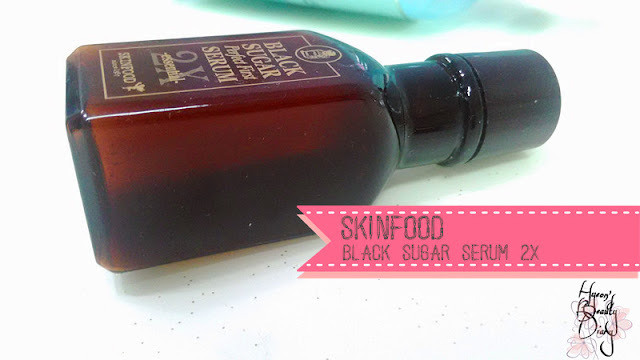 This Black Sugar Serum is said made from black sugar and Cheongju, a traditional Korean wine. Once you opened up the bottle, a pleasant rice wine smell can be easily observed. I really love the smell. It is a watery-type serum, very runny. 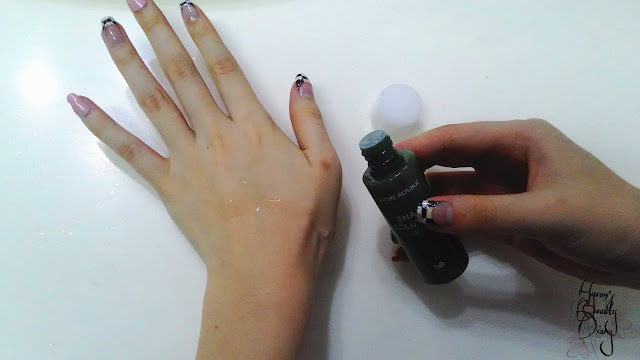 What I do is, put several drops on my palm and lightly pat the serum onto my face, since I don't want to waste a single drop on cotton pad. The texture is so light that you can even layer the product, maybe 2~3 layer, on your skin for it to absorb more of the goodness. What is it for? You can use it as toner or a serum to achieve a smoother and clearer skin complexion. As for me, I observed clearer and softer skin complexion after using it continuously for a week. I was thrilled! The one I bought is actually a sample (30ml). This product is available on Hermo for RM21.09. The full-size packaging (120ml) comes with its own set of dual sided serum cotton pads. 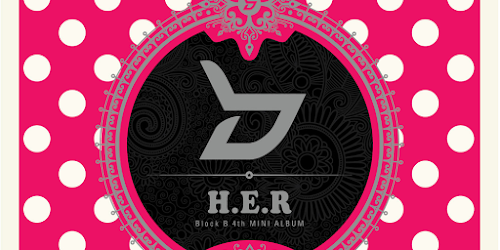 It is available on Hermo for RM104.94. Yes, this product aren't cheap. It is by far the most expensive moisturizer I ever bought for myself. But seriously, I can see why. 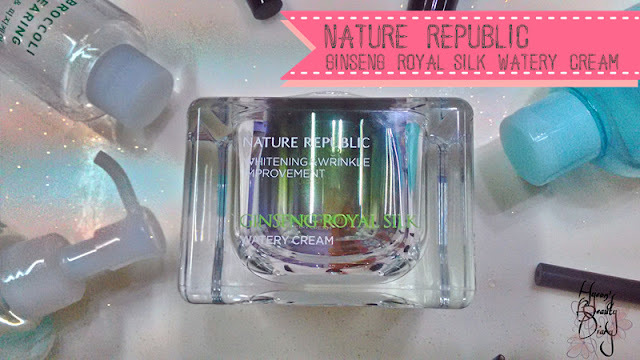 Let's go into it's main ingredients: red ginseng extract (antioxidant and revitalizing), royal jelly (moisturizing and brightening), silk amino acid (tightening and nourishing ) and gold (brightening and regenerating). All of these ingredients are already well-known for its goodness for skincare (in brackets). That's why that claimed to be the best complete moisturizer. At this point of time, you might think, "wait a minute, this sounds like an anti-aging product. well, I think my mum needs that; but for me, no thanks." Back to our topic. This product can be used for day and night. I usually applies it as my last step of nighttime skincare routine. The cream texture might feel thick and heavy once you applied it onto your skin. But soon the cream will melt and become watery, and formed a layer of moist protection. 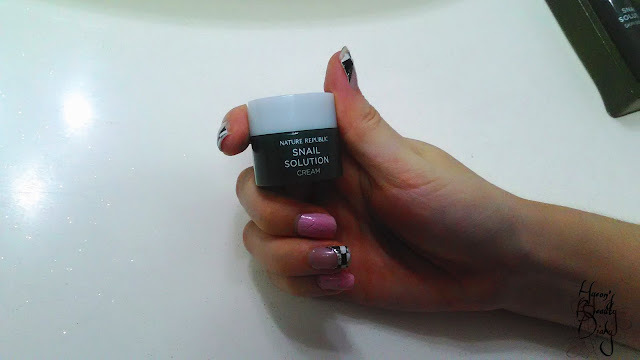 The moisturizing result is instant and it is lasting (for the whole day/night). Since I bought it when it had "buy 2 free 1" sales promotion back in South Korea, now I'm using my second one, continually. It's really pricy, but I love this product. This product is available on Althea for RM200 and Hermo for RM253.34. Thank you for reading until the end (o^∀^o). Please do look forward for the next Monthly Project as I will be sharing with you "November. 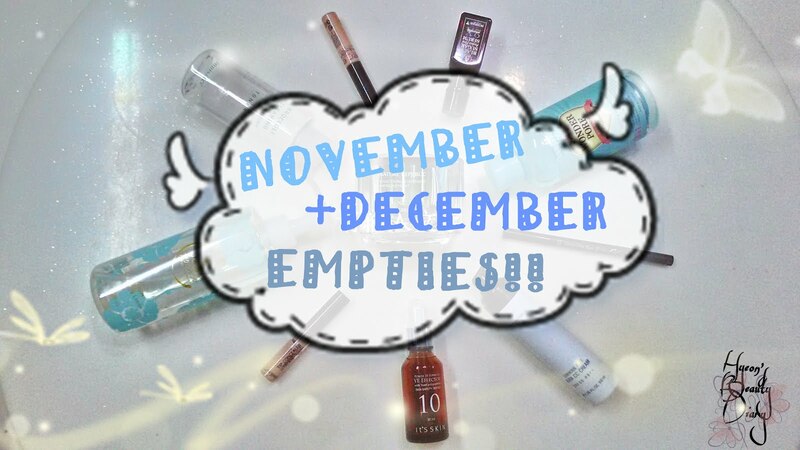 & December Empties Part 2 (Makeup Products Only)". Not sure about you, but I am pretty much a fan of its packaging - classic black with minimal design, even the lipstick case has the "matte-touch" feeling. They even come in a hidden/secret design - magnetic cap lock. There are magnet at one end of lipstick cap and one end of the lipstick case - to keep the cap in place. Very interesting. 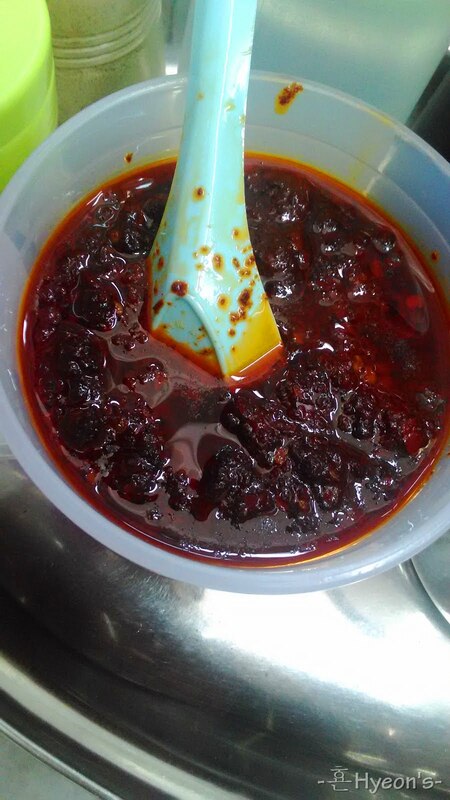 As for the colour, it is more like a tone-down red, like Korean spicy sauce gochujang (as below). 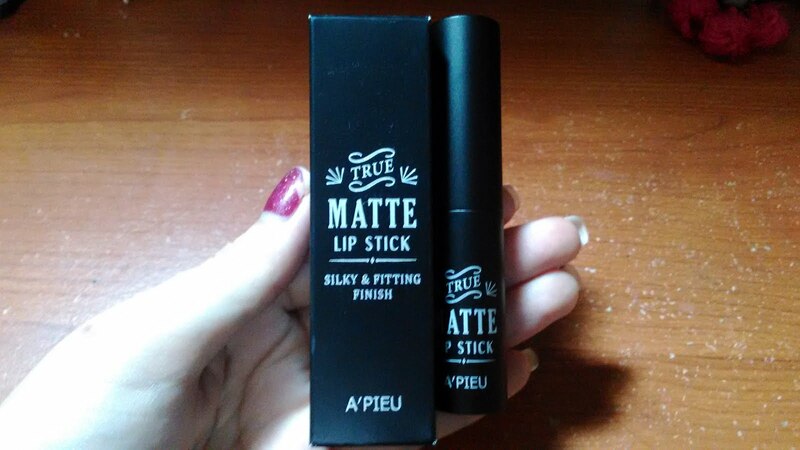 It has silky and fitting matte-finish, just like it written on the packaging (as below). 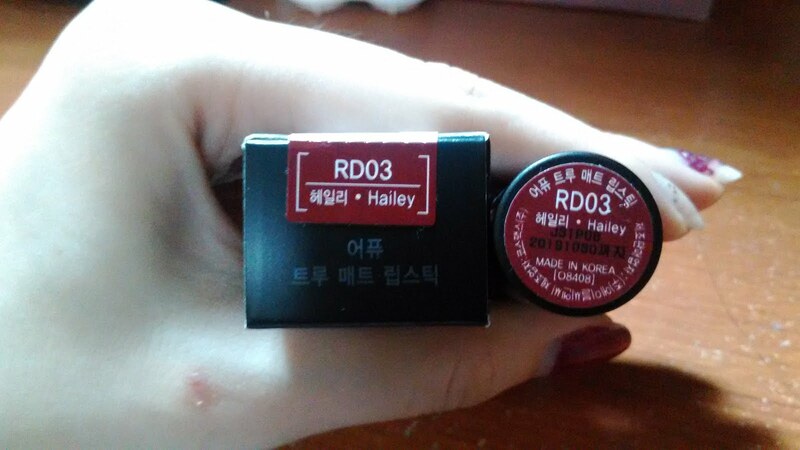 I really really like this colour just at first sight, when I saw it online on Gmarket, and I didn't regret purchase it at all. It delivers the colour beautifully, seriously. 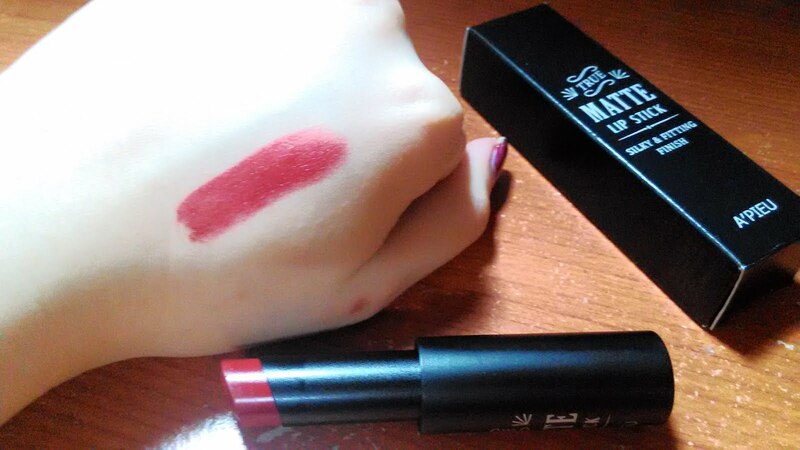 Since it is a matte-finish lipstick, bear in mind it might enhances your lip wrinkles/lines. Make sure you fill up these tiny line gaps patiently. 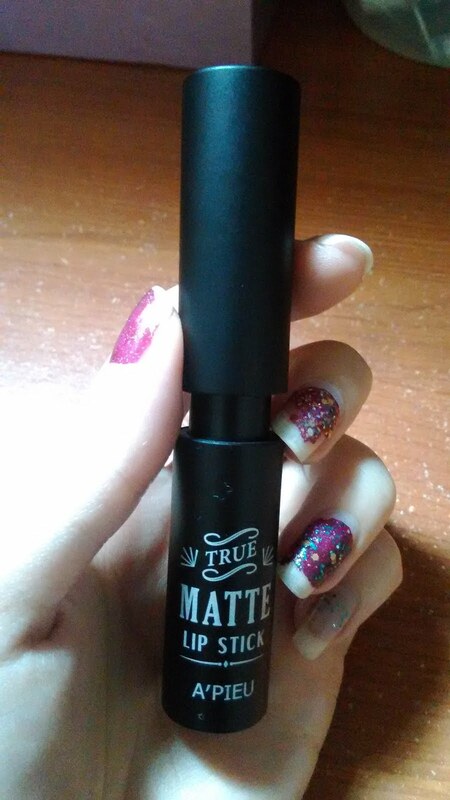 This is something which expected from matte-finish lip product. Not much of a concern thou. 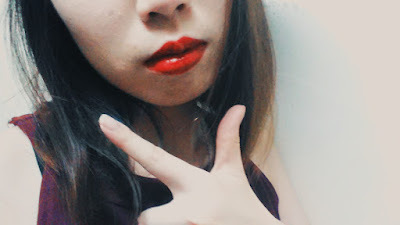 Unlike lip tint, most of the lipsticks out there are easily transferable (as below). I usually need to reapply it after meal, since it wears off too easily. I would said, the biggest drawback. I bought it from Gmarket for KRW10,000 (about RM39.80; excluding shipping fee). Quite affordable, since A'PIEU is targeting more towards students/teenagers/youngster group. 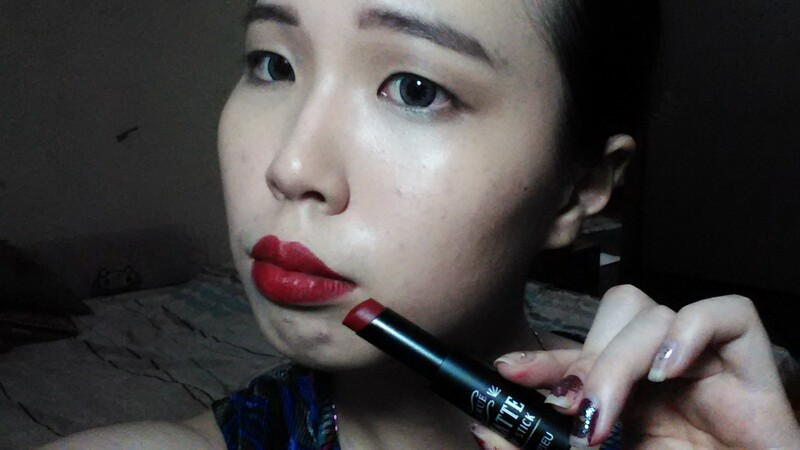 Overall, I really like my first A'PIEU lipstick. 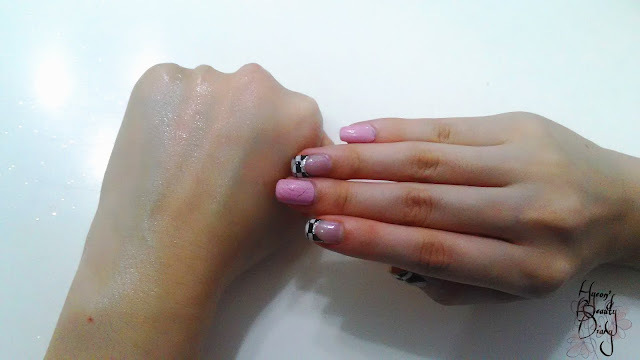 The colour is very pigmented. 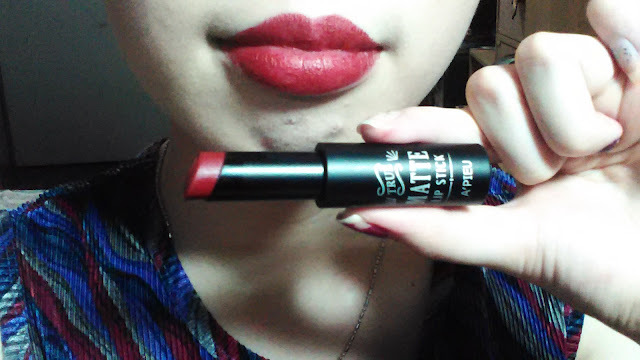 The matte-velvety-finished is what I'm looking for. The packaging is simple and classy. The price is affordable. The only drawback would be not lasting. 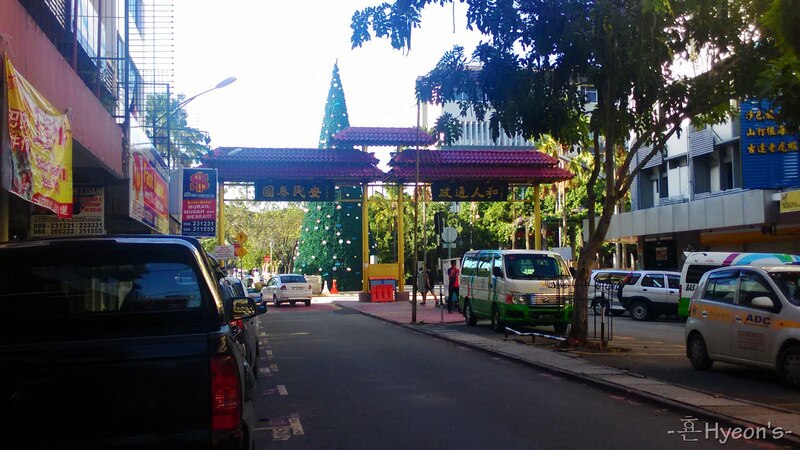 January 28 Happy Chinese New Year! 2017년1월28일 (토요일) 새해 복 많이 받으세요! Maybe you also heard people greeting each other "Happy Lunar New Year", it basically means the same. I am so happy for able to show you guys a photo of us wearing traditional Korean costume, the han-bok, during this festive season. I have always wanted to do so, cause it means alot than just wearing new clothes in new year. In more years to come, I wish I could try out more han-bok , simply because I think it looks feminine and it comes in variety of designs and colours. Recalling a year back. 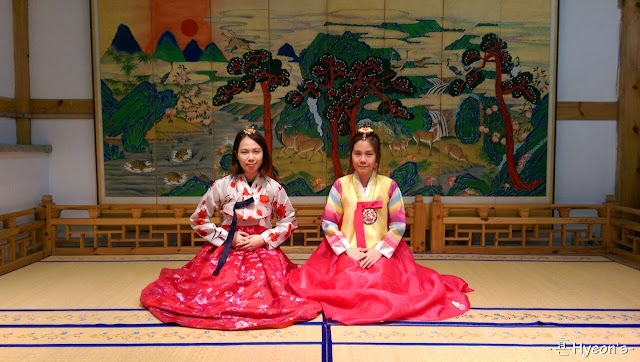 My family and I were travelling to South Korea during lunar new year last year. It is almost unbelievable that time just passes us by and "snap" a year later. It was my first trip to South Korea, and I wouldn't forget that exciting moment when we touched down on this foreign land, which I dreamed for a decade. Now, moving on to recent updates. Thank God, I've just landed a new job which the company deals with skincare and cosmetic products. Still trying to get used to everything there. Still trying to fit myself there. Since I really wanted to work in a skincare and/or cosmetic company (whether it is a retail, distributor or manufacturer), so far it is flowing accordingly, well hmm, we shall see how. 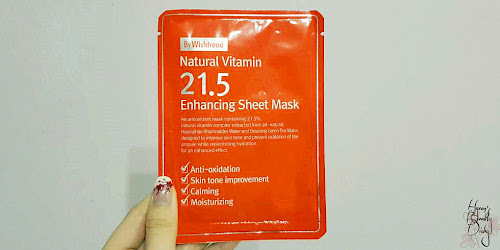 Another mask sheet review which I have tried it recently. Today, a bit of a twist, we are going to look at an American product (than a Korean product). 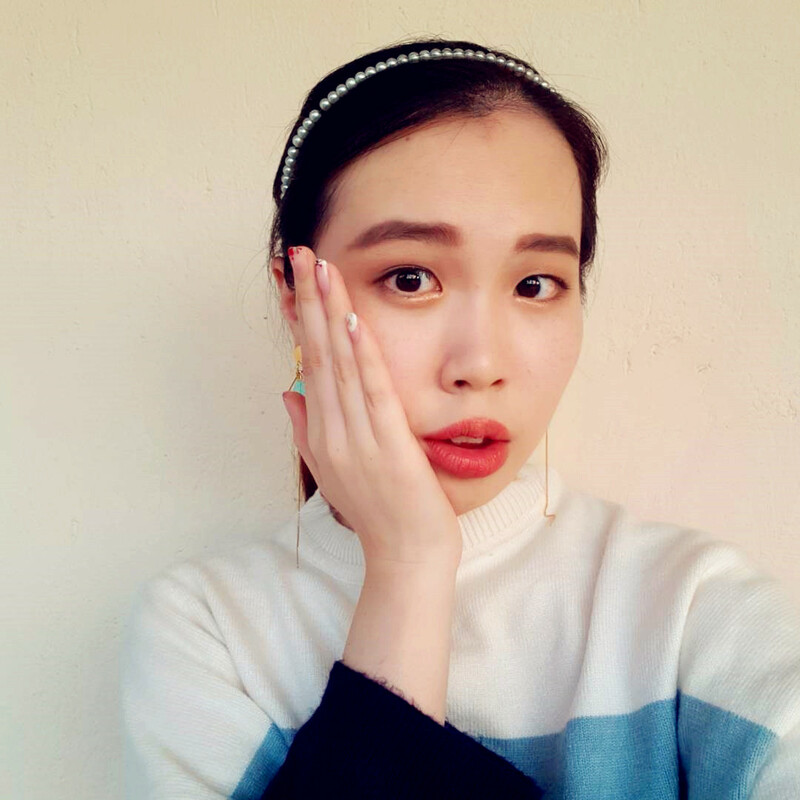 As we Asian have similar skin texture and all, so most of the times I will go for Koreans/Taiwan/Japanese products than others. 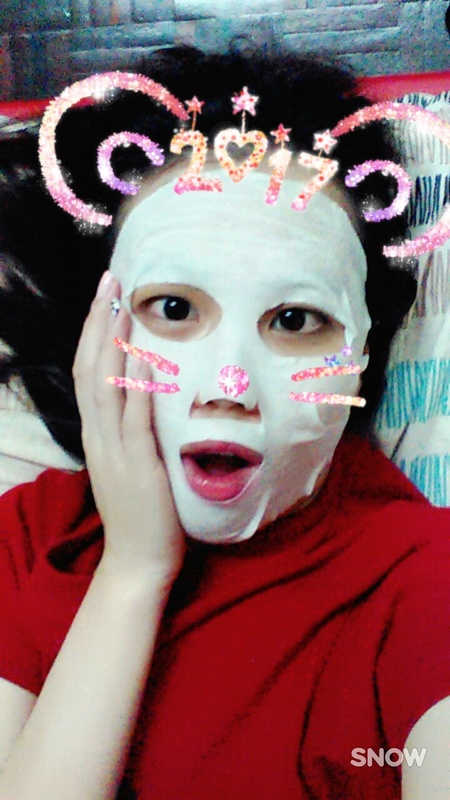 Honestly I don't remember how I got this mask sheet (probably my mum bought it), it so happened that it lies inside our fridge for quite some time, unused, so I took it and tried it on (opps...yeah). It was the night after our company (which I joined just a week ago) annual dinner. 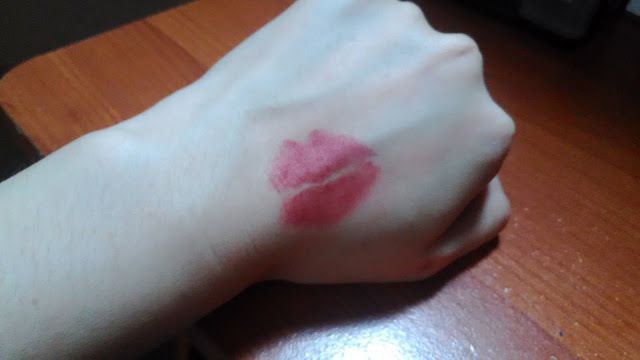 After removing my makeup, I can see my skin is dull, tired and dry. 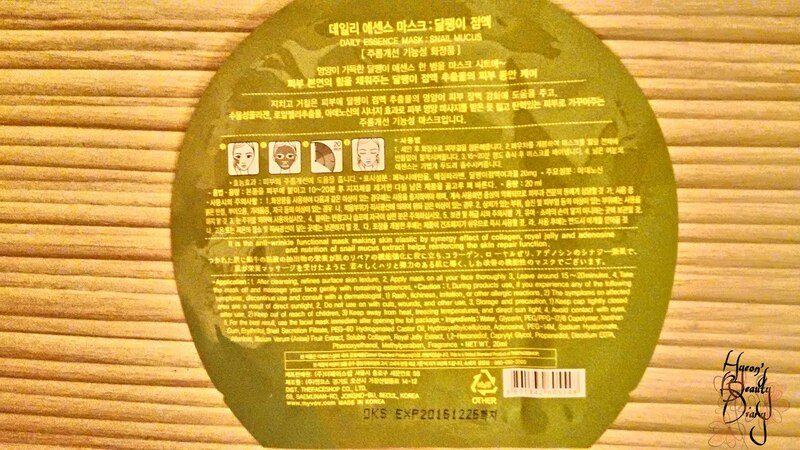 And this mask sheet happened to lies inside the fridge for so long (I've been watchin' you), and it writes "hydra boost mask", and I thought "this is it!". 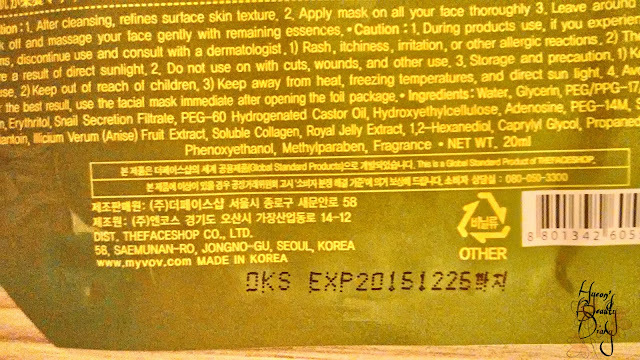 First thing after I opened up the packaging, the mask sheet is lusciously soaked in gel-type essence. This ain't watery essence, you see. Once removing the mask sheet from its package, there isn't much left inside the pocket, the essence is all attached onto the mask sheet and being pulled out all together. I can already tell I would likey this product already. 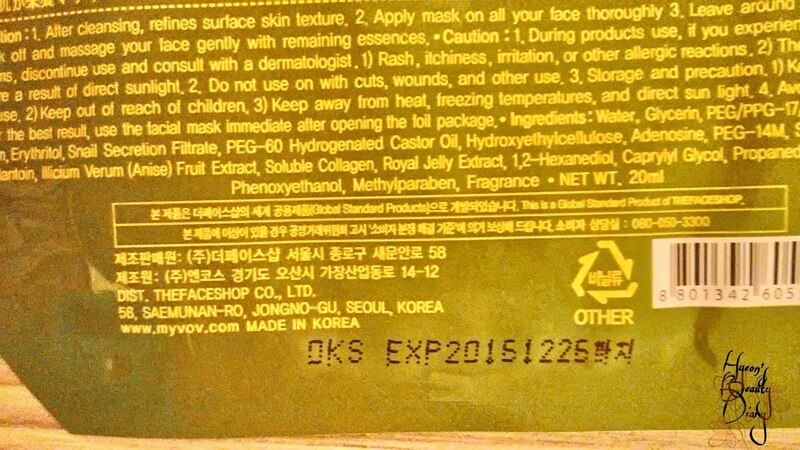 The mask sheet has thick cotton sheet (see below), which holds the maximum goodness of the essence. When I put it on my face, it looks like a bandage on my face! Aha! Very good quality. 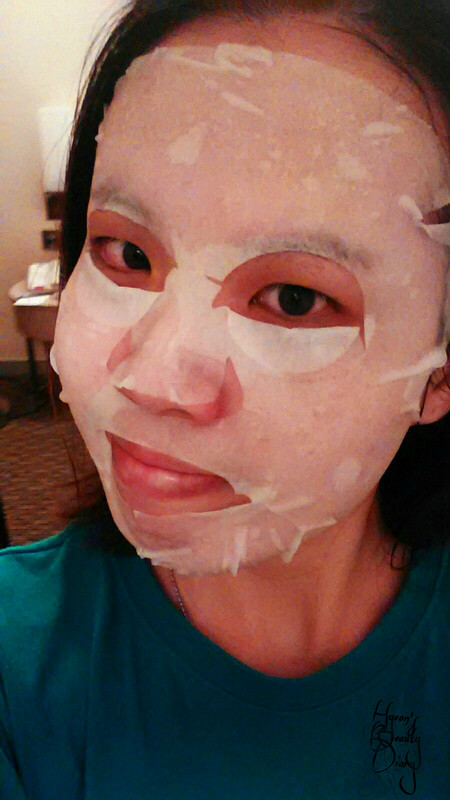 Once the mask sheet is on, I can already feel the hydrating effect and coolness right away. After leaving it for about 15~20 minutes, remove the mask sheet and massage to let the product sank in. Not only I can feel the my skin temperature has cooled down (which it will help to calm down the skin and reduce redness), I can even feel the hydration boost from deep inside! Wow. As I didn't purchase this product, I couldn't tell the actual price. So I research online, and it should range around RM13.90 per piece (the price might changes through time). It is slightly more expensive than other mask sheets I usually reach for, but if it serves the purpose, why not. I absolutely love this mask sheet, from its fabric, essence to its after-effect. Indeed it is an intensive luxurious moisturising product. My skin felt incredibly soft and calm after using it. I will definitely purchase this product in the future. Today, a bit different from usual, we are going to look into a trial kit from Nature Republic, which consists of 4 products - skin booster (or, toner), emulsion (or, moisturizer), essence and cream. Let us go through it one by one, shall we? Because it's a trial kit, so they all are in these adorable size. I got them when I purchased the Whitening & Wrinkle Improvement Ginseng Royal Silk sets. Check out the link here. First, the skin booster. The texture of the solution is the lightest among these four items (see below). 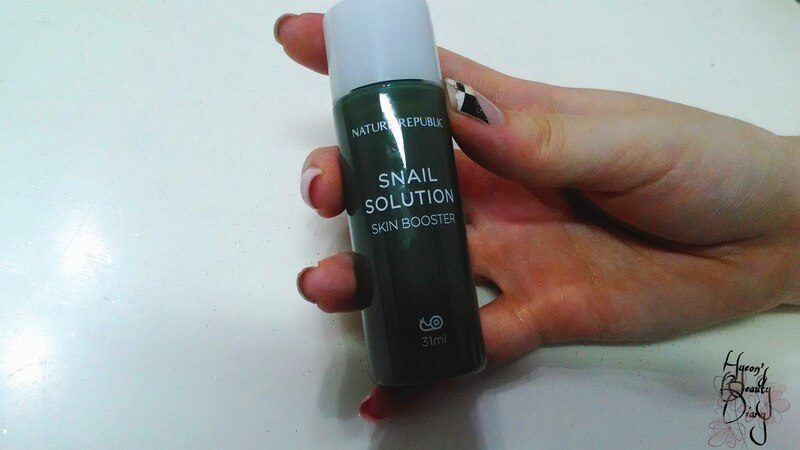 According to the product description, this skin booster consists of 80% of snail mucus essence, the highest percentage among these four products. 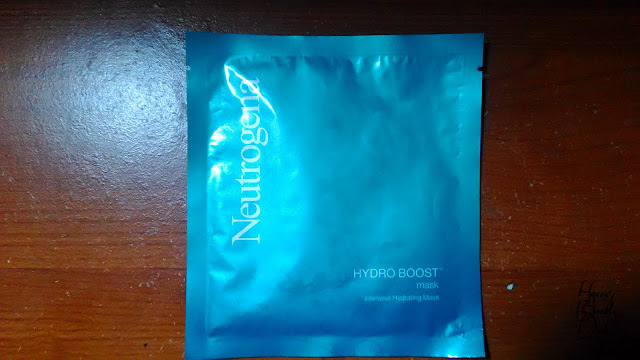 What is the function of this skin booster? It is said to have calming and moisturizing effect which prepares the skins for the next few products. 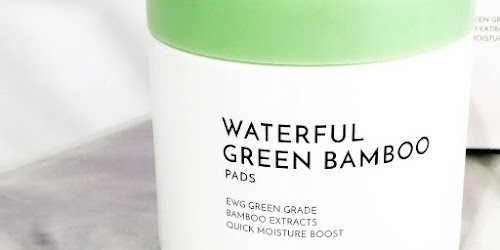 Personally, I quite like this product, because of it's light texture which quickly absorbed into the skin, and it doesn't give you that sticky-sticky feeling after applying it on the skin (mindful that is snail mucus essence after all). The scent is also the least fragrance among these 4 products. Least irritant. 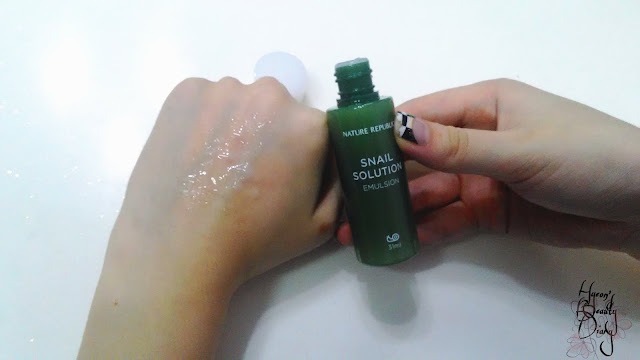 Coming up next is the emulsion. 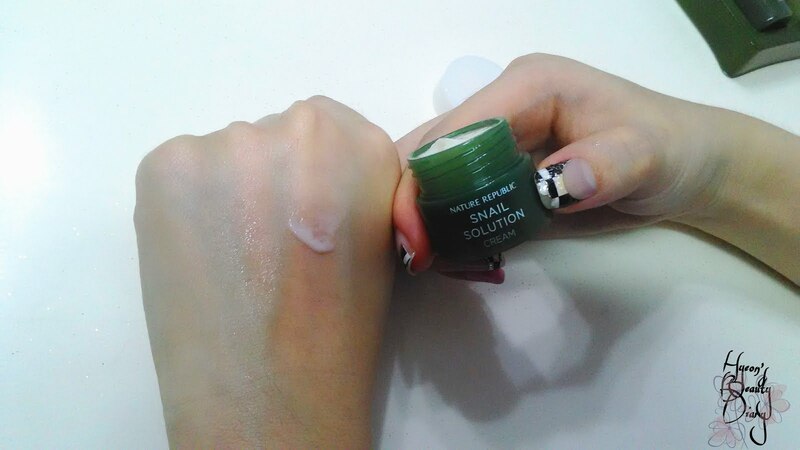 It has 76% snail mucus essence, and it is for lasting moisturizing effect which promotes anti-aging care. 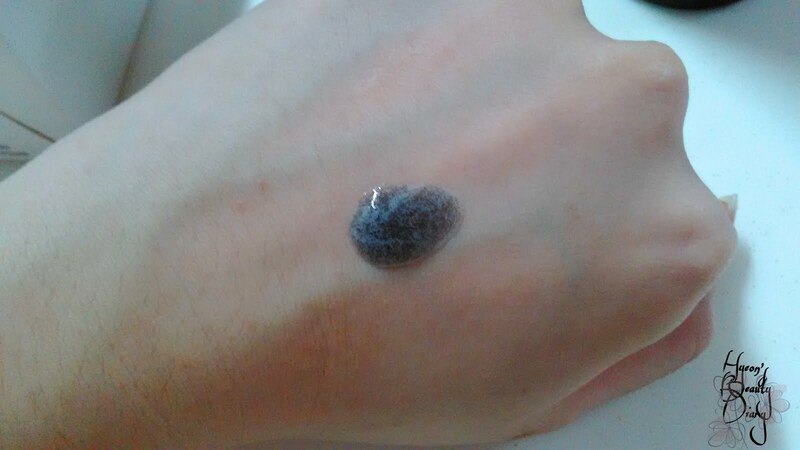 Its texture is slightly thicker than skin booster (the previous one) whereby I can totally see longer moisturizing effect after using it. To name one thing I dislike about it? Its strong and irritating scent. It's like there is a bunch of flowers right in front of your nose! Well, it doesn't really smell like flowers thou. It's hard to explain its scent, but for sure they put a lot of artificial fragrance in it. I have sensitive nose, so it's really hard to bear with the emulsion's scent here. For your reference only. Third item here is what they called "essence". Weird thing is, this essence has much lower percentage of snail mucus essence - of 68%, but they named it after the word "essence". It should have the highest dosage of the goodness, isn't it? Anyway. 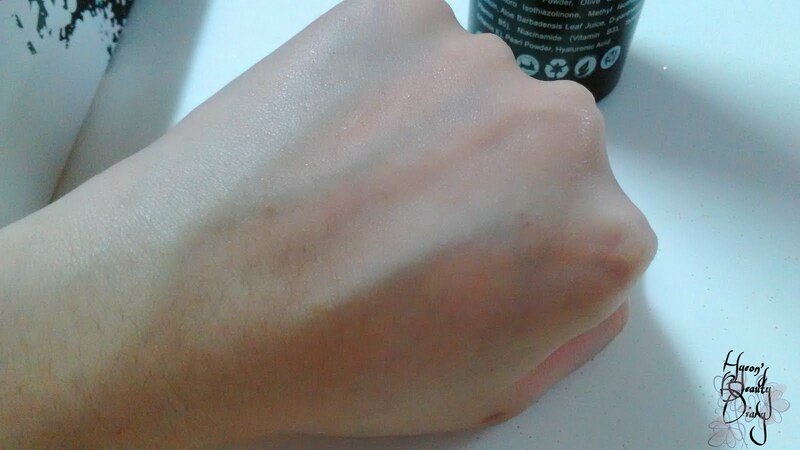 The texture is between skin booster and emulsion. It has the similar functions as emulsion, so I really can't tell what's the difference between two products, other than the texture, which is obvious. Luckily the product description did the talking. So apparently it is a nourishing cream with 62% of snail mucus essence which promotes bouncing healthy skin. 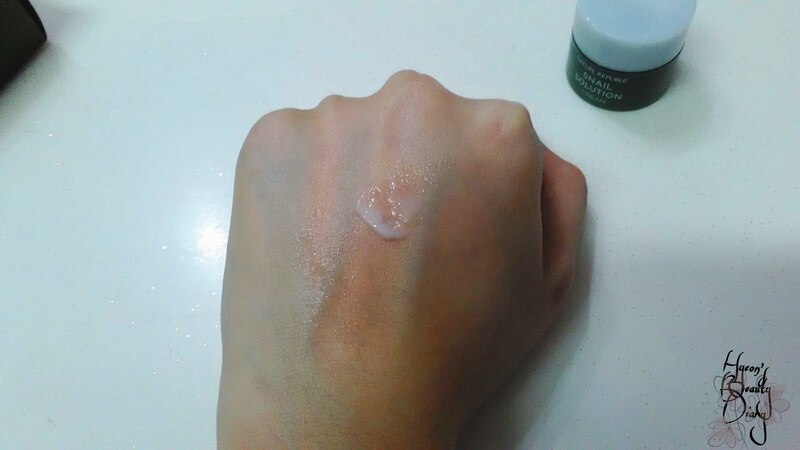 Judging by the cream texture itself (slightly thicker than emulsion), it could be a heavy-product to put on your skin, so caution on the amount when you apply it. Do I like this product? 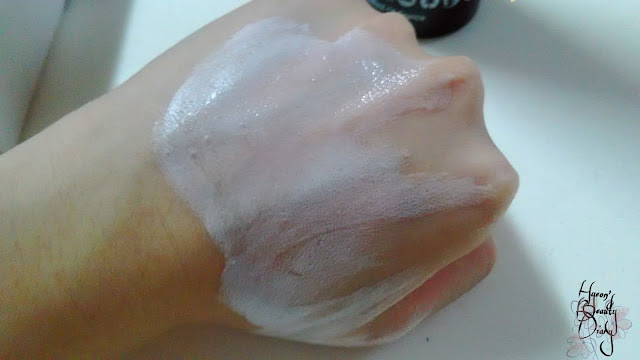 I think it is still okay if you apply the right amount onto your skin. Otherwise, it could be too oily and leads to breakouts. It could be more suitable for my skin after 5-6 years. Honestly, I wasn't that happy about this trial kit. 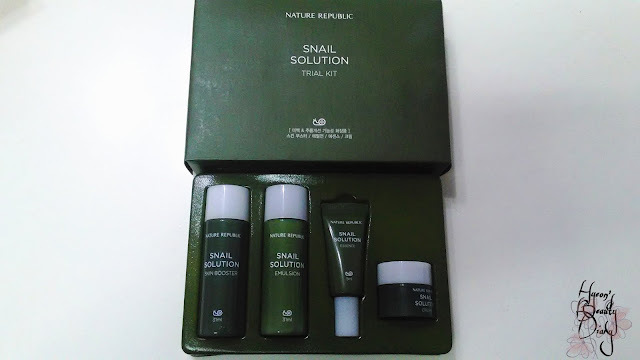 It could be a great kit to start-off anti-aging skincare, but to me, it is too much of snail mucus essence, which I don't really see any obvious effect, yet. I could be wrong, and my opinion could be subjective. I would definitely recommend this trial kit/these products to those who have dry skin and looking for anti-aging skincare products. I think this could be a perfect match for them. If it is still too heavy, please adjust the amount you apply accordingly, and/or apply it on targeted areas only. You can start doing anti-aging skincare in your early 20s, and guarantee you won't regret starting early. However, it is recommended to start with water-based anti-aging products, which is less-heavy and easier for your skin to absorb the goodness. Then you can switch to oil-based products after sometimes, preferably in your 30s. I am going to review 2 products for this week, and here it is, the second product of the week. 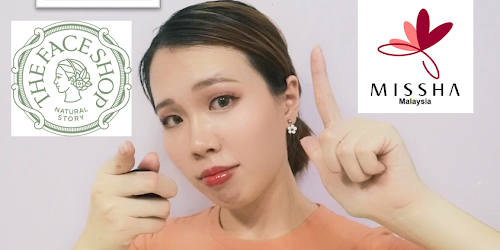 You may have already noticed that I do a lot of reviews on skincare products, especially mask pack, mainly because of 2 reasons: (1) they are relatively cheaper than other products; and (2) there are lots of variety available in the market (brands and functions). Most of the mask pack are similar to one another, and you usually can't tell the difference on the first usage. Thence most of the time people tend to follow the trend and/or rely on people's recommendations while purchasing mask pack. So, here we are, another mask pack review. We are going to cover three main points: (1) functionality; (2) mask sheet quality and size; (3) price. As I am writing this review, I have already used this mask pack for 3 times. First, functionality. 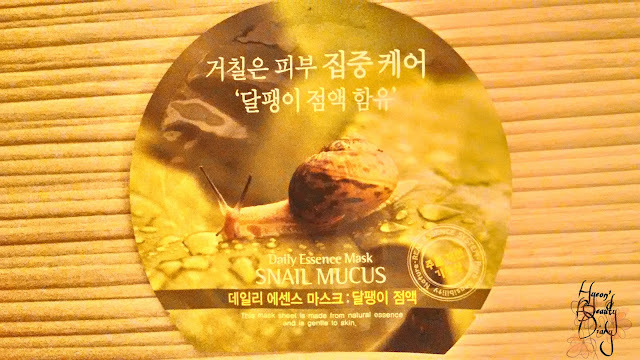 Snail mucus (or, snail slime) is widely used in Korean beauty products, especially anti-aging products, because it helps to stimulate the formation of collagen and elastin, protects skin from UV rays, repairs damaged skin tissues and restores hydration. From my own experience, I didn't feel or see drastic skin hydration effect after using it, even the next day when I woke up. The solution/essence is quite thick, which is what I prefer. It doesn't cause any skin irritation, before and after. Thirdly, my mum bought them in bulk while we visit South Korea on February last year. It's about KRW2,000 (about RM8) per piece, if I remember correctly. For a snail essence mask pack, I think it is rather cheap compared to others. But of course, there is a probability of others being overpriced. 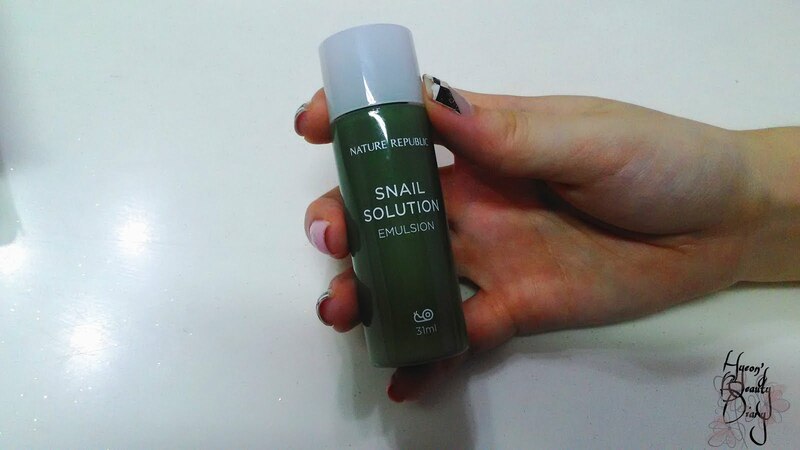 In overall, since I am not a big fan of snail essence, I would say it was just so-so. This is written based on my own experience, and others might have different opinion. Just for your reference. Welcome back. 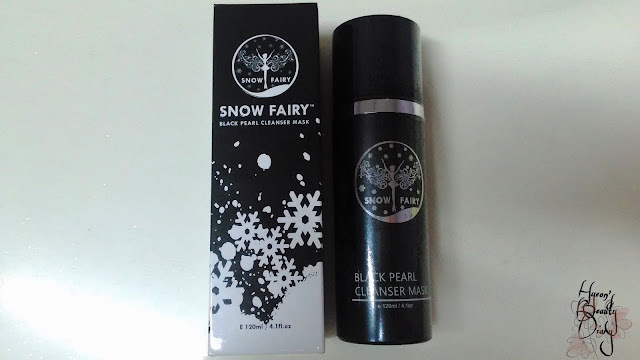 Today I am going to review a facial cleanser product, from France - Snow Fairy's 4in1 Black Pearl Cleanser Mask. 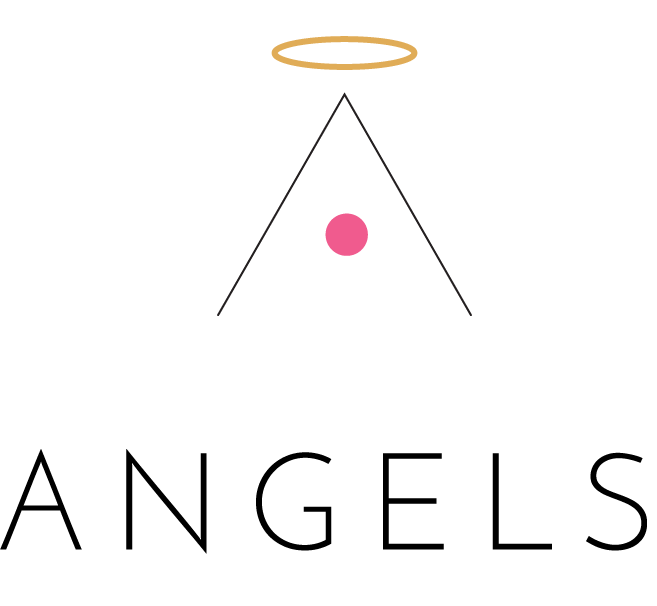 Apparently this brand is no stranger to Malaysian as their brand ambassador is a Malaysian actress, Stella Chung. I bought it together with a friend for RM128 each. 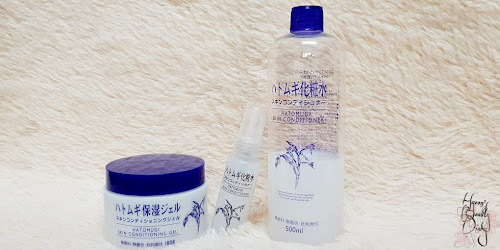 No doubt, it is the most expensive face cleanser I ever bought (as of date), and I am dying to know how good is the product. From the photo below, you can see it is brand new with a transparent seal. It is a pump-design where you press the nozzle to pump-out the liquid (see below). Design per say, I think it is rather simple and class - with black as the main color. But I am having difficulties in pumping-out the liquid mask for the first 3 times. It feels like nothing much inside it causing it difficult to pump-out substance. So what does it for? What are its functions? 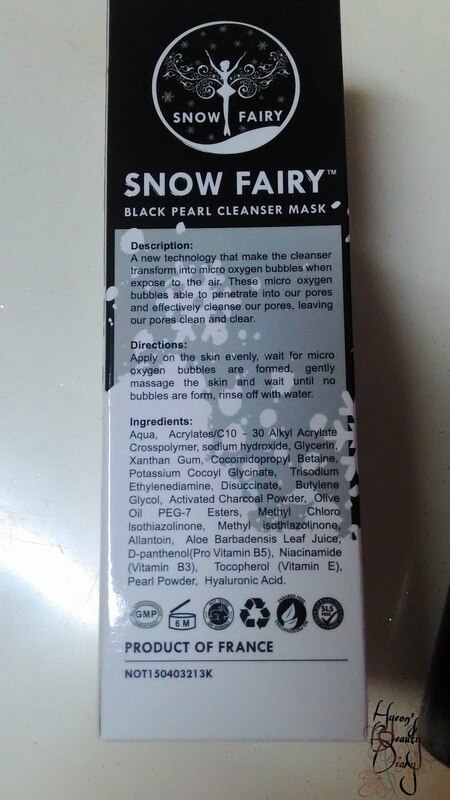 Snow Fairy's Black Pearl Cleanser Mask is a 4-in-1 skincare product which is (1) make up remover + (2) cleanser + (3) mask + (4) exfoliator. It is a new technology whereby the liquid cleanser transform into micro-oxygen bubbles when expose to the air. These micro-oxygen bubbles are able to penetrate into our pores and effectively cleanse our pores, leaving our skin clean and clear. On its official advertisement, it has 20 functions as written. I won't go through it one-by-one. It's basically a combination of every skincare function you can ever think of. What is most important to me is, a cleanser does what a cleanser does. That's it. We will see that in a bit. The first time I was introduced to this technology was February last year, when we visited The Odbo premium store. 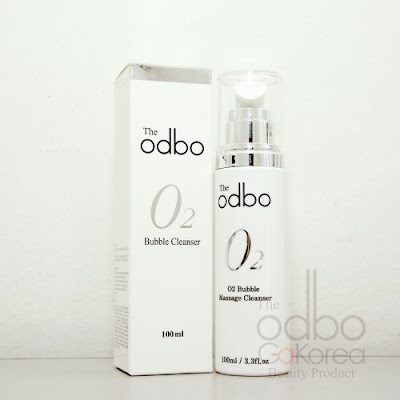 It was "The Odbo O2 Bubble Cleanser" (see below) which I was after, but it was too pricy, about RM175 each then, so I gave up. My then-colleague, whom has been using Snow Fairy for quite a while, told me about it after I described about The Odbo's O2 Bubble Cleanser. And together we bought them online when they were having a "buy 5 free 1" promotion. It is a mild product which suits all skin types. 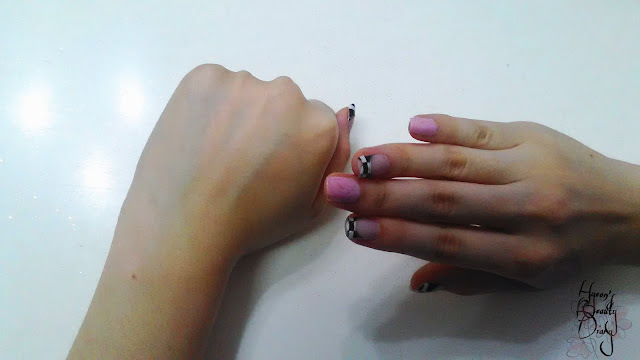 Even my friend, whom I mentioned earlier, she is having skin allergies, but she has no skin irritation after using it. However, it may differ from one another. First, make sure your face is dry before applying the product. Otherwise, the micro-oxygen bubbles would not form. 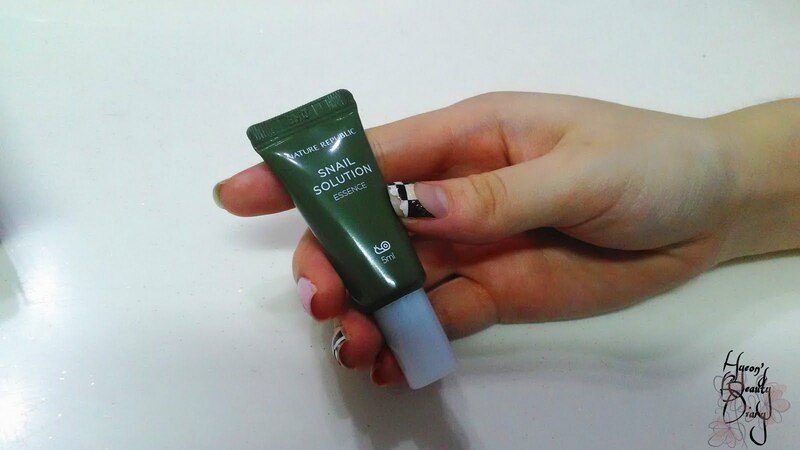 Take about 3 to 5 pumps, and apply on the skin evenly. Next, wait for about 5 to 10 seconds for the micro-oxygen bubbles to be formed. The micro-oxygen bubbles will remove your makeups and clean your pores thoroughly. My first impression after using it the first time was nothing out of expectation. It really feels good when the micro-oxygen bubbles getting formed on the skin. After some time when the bubbles diminished, it leaves a thin sticky layer - just like a transparent egg-white mask. 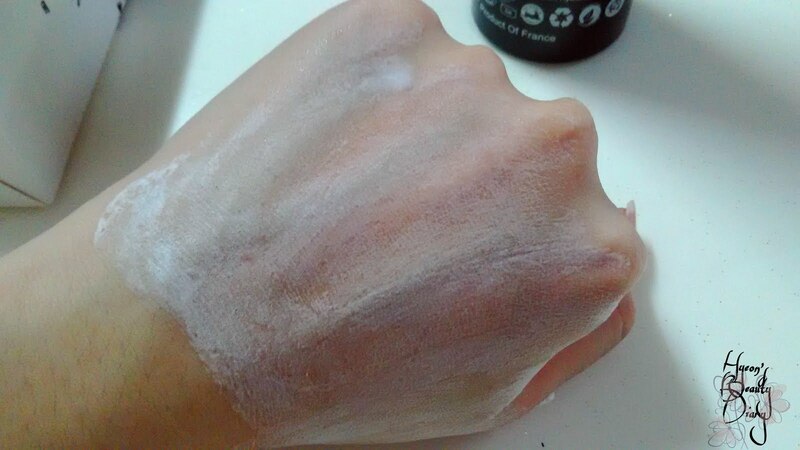 Then after rinsing with water, then skin doesn't feel dry or super tight. Like I mentioned earlier, it is a mild cleanser product. One thing which will shun me from continue purchasing this product would be the price. By looking at the price, it should be in the premium skincare product range. However, to be honest, I didn't feel it was as premium as The Odbo's. 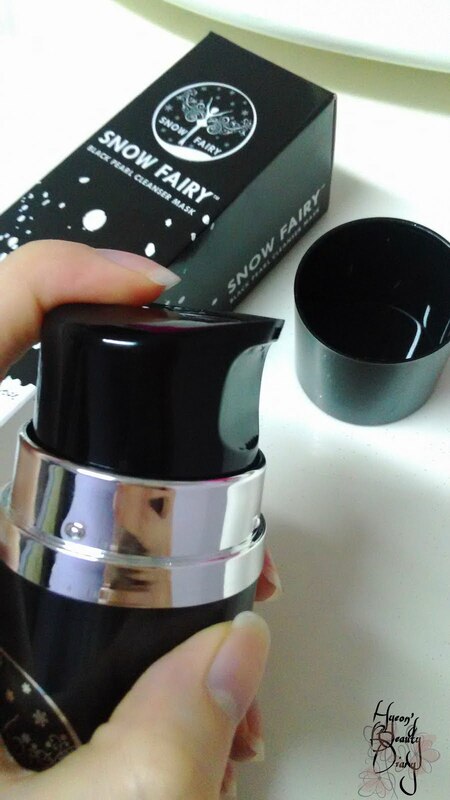 I can still remember the sensation while using The Odbo's, and it is slightly different from Snow Fairy's. There were more micro-oxygen bubbles formed with The Odbo's. After returning back to KK, we still have much to do before the year ends. 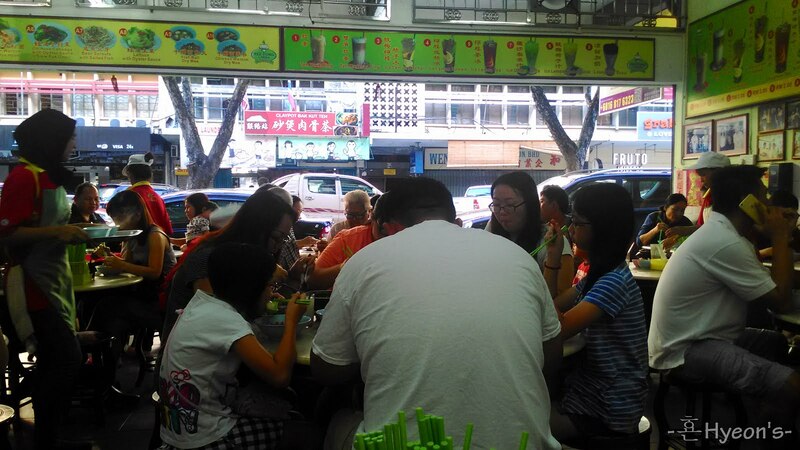 We have some stuffs to do down at the town, and before that, mum brought us for breakfast to kick-start the day. 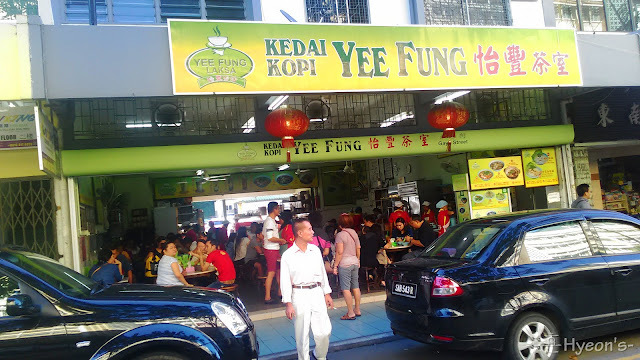 "Kedai Kopi" is "cafe" or small restaurant in Malay. Mum says this cafe has existed since she was young, more than 40 years now. I still can remember she brought us here when we were young. I couldn't eat spicy food then so I would order laksa with "less spicy" request. 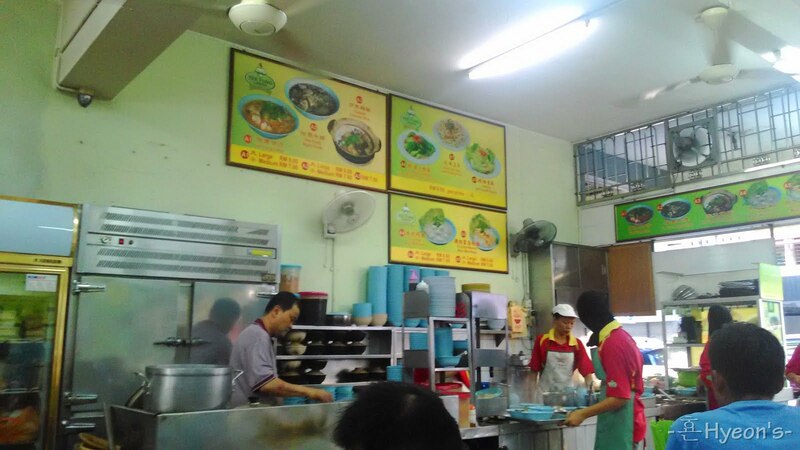 Yes, their signature dish is "laksa" except they add milk, a twist from usual Penang laksa. They have their very own recipe, and that's what people love about it. 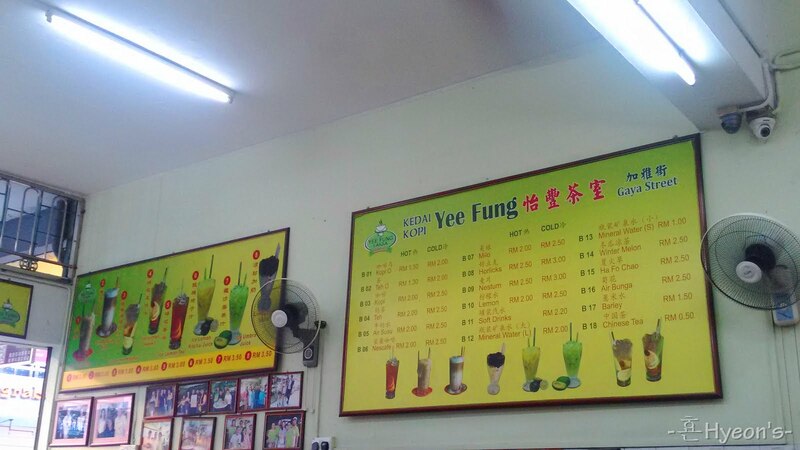 - Address : 127, Jalan Gaya, Pusat Bandar Kota Kinabalu, 88000 Kota Kinabalu, Sabah, Malaysia. It's only 8:30AM and it's already full house! C'mon in. This place is not only popular among locals, but recently it has been also a "hot-spot" for tourists, especially Chinese tourists. Apparently they enjoy spicy foods a lot, just like we Malaysians do. Okay, the signature dish - prawn and chicken strips served in Laksa soup base. 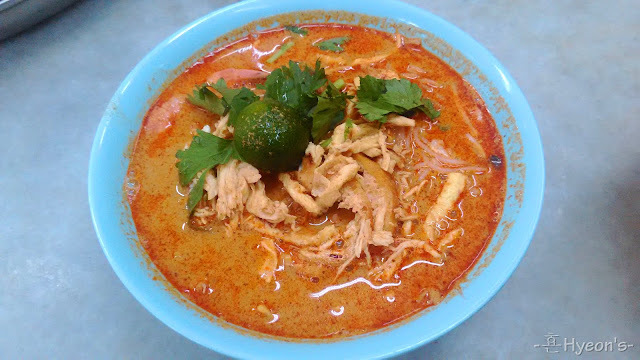 I always order meehoon laksa. 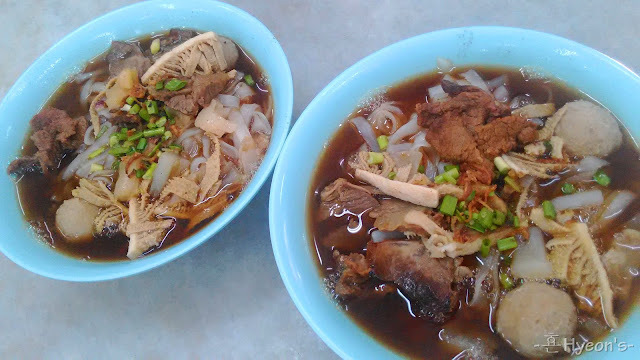 If you don't fancy meehoon (rice noodle), you can always choose mee (flour noodle) instead. The creamy soup base, the spiciness and sourness combines perfectly together. Now I can eat a lot more spicy than I was young. You can add more sambal to your soup to add more spiciness. 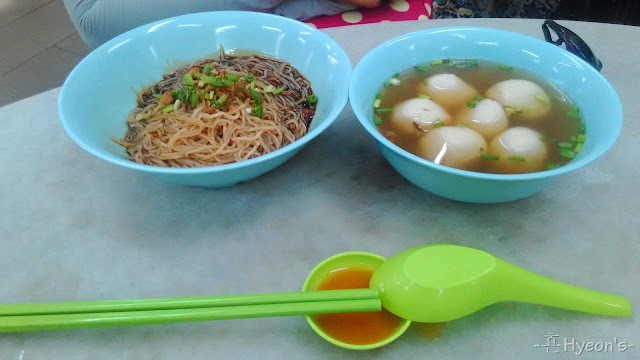 My mum had Fish Ball Meehoon. It is a simple dish, but taste good. 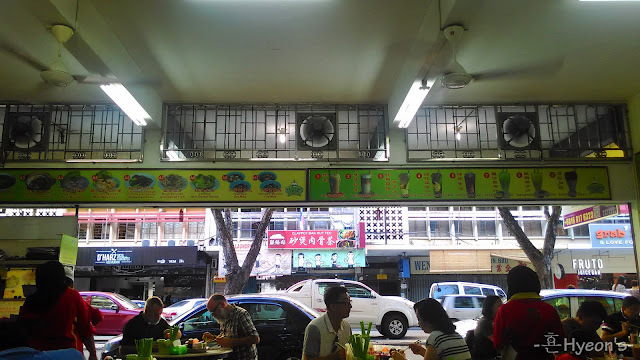 The fish balls are fresh and big in size. And this time round, for a change, I tried their "Ngau Chap" (beef soup). The presentation was nice, looks delicious, but lack in taste. Worth the try, but I should have stick with their laksa. For your information, there will be Sunday street market going on every Sunday at the streets where Yee Fung Cafe located. The streets will be closed and temporary stalls will be assembled. Nonetheless, their business is still on-going, from morning until evening. This is definitely a place I would recommend to my friends when they come to visit me in KK. And that's why I would recommend it here as well. Hope you will enjoy!